There's no denying the weather is taking a turn for the worse, with predictions that the winter in Britain will be the coldest for some years (worse than last year? Hot Water Bottles at the ready). There is a shoe emergency for some winter shoes that keep our feet warm, waterproof and help us to avoid unladylike slip overs in ice/snow. If you're like me, you'll need to buy at least 2 new pairs of boots every winter. But this year I splashed out on some Dr Marten boots and with a life-time guarantee, I shouldn't be needing to buy too many new pairs of winter boots in the foreseeable future, or technically, ever again. I've been wearing them for about 2 weeks now and they still look like I could take them back to the shop for a refund. Against everyones advice that DMs take years to break in and are the most uncomfortable shoes they've ever owned, I still bought a pair with confidence thick socks will protect my feet, and they do! Aside from keeping my feet waterproof and comfortable, they kept them so warm and snuggly. I think the secret is to get a pair that initially feel a little too big for you, because they're not going to stretch unless you walk 15 miles every day for a couple years. I can't believe I've gone so long (including the 90s) without a pair of DMs. I'm ashamed. 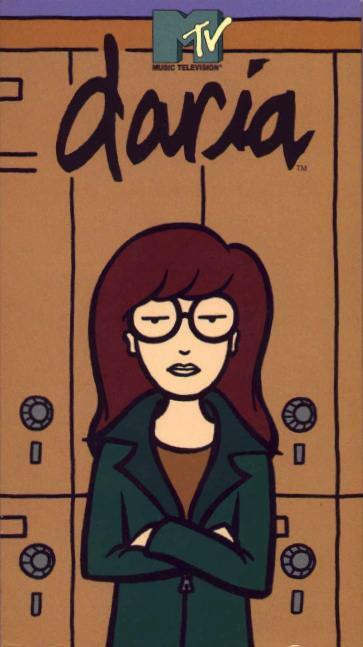 Especially as Daria was my style icon for many years. Ok, so, with my miracle DMs I shouldn't need any other boots really… but I did pick up a really cute pair of black Chelsea boots in Primark today. I seem to be collecting classic boots this winter. Cheaper boots lack the tread needed for snowy/icy terrain, which meant a lot of my shoes last winter were completely useless to me. These Chelsea boots aren't going to be much help on a snow day, more to the point, they're not going to be amazingly warm either as I doubt they're leather. Although, Primark have been surprising me recently with their new posh range. I say posh, I mean 10% better than a bin-bag. I definitely recommend investing in some classic Dr Marten boots, Cloggs have the cheapest that I've seen online so far. Dr Martens seem to be really blowing up in the fashion world at the moment, only recently they collaborated with Vice for their 50th Birthday Bash. It's official, DMs are no longer just for goths and Daria!